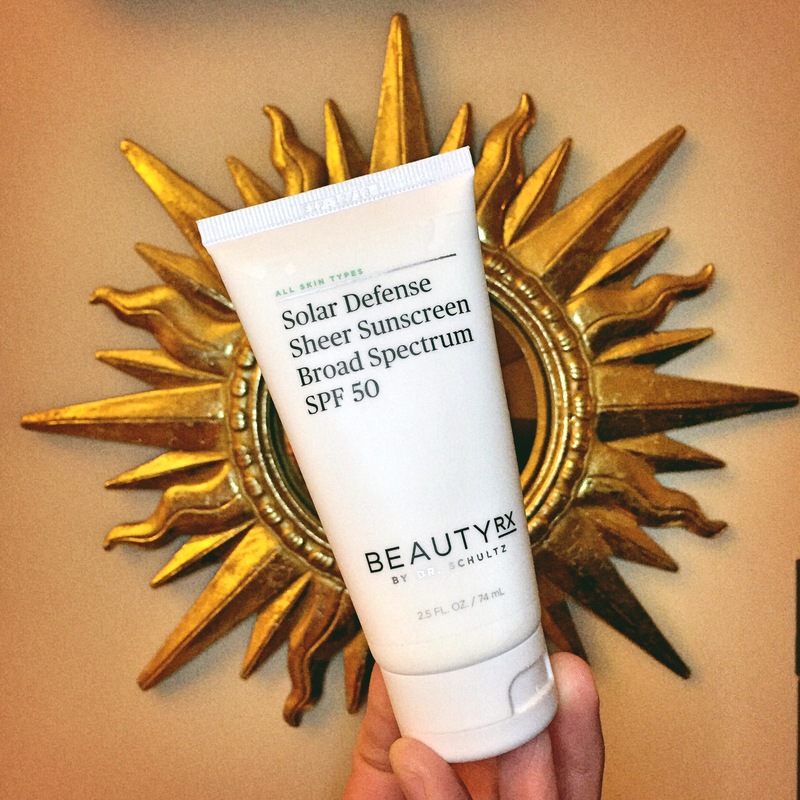 About a month ago, BeautyRx by Dr. Schultz sent me their Solar Defense Sheer Sunscreen SPF 50 to try out for honest review. 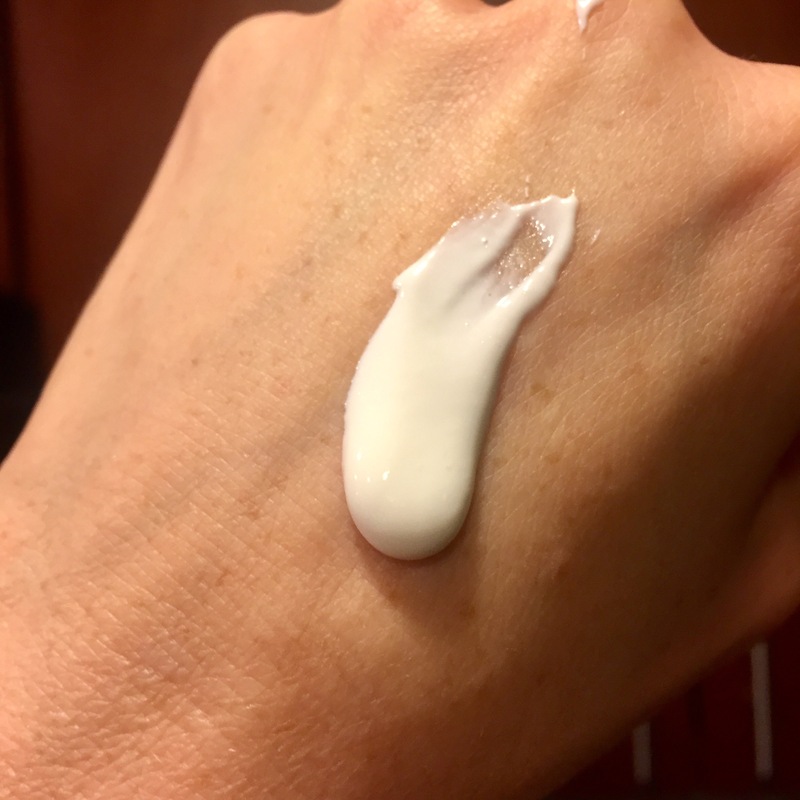 I was really excited to give it a try because my current favorite (La Roche-Posay Antheliox XL Ultra-light 50+ Fluid) was almost out, and I can’t get that specific formulation in the U.S. (I originally had purchased it in Paris). So I have officially been on the hunt for a new sunscreen. I had heard good things about this sunscreen from @beauty_unplugged so I was hopeful it would work for my oily/combo and acne-prone skin. if the sunscreen contains other benefits (like mattifying skin, or including other beneficial ingredients) I consider that icing on the cake. Water, Cyclopentasiloxane [silicone/hydration], Cyclomethicone [emollient], Dimethicone Crosspolymer-3 [silicone/hydration], PEG-10 Dimethicone [texture enhancing], Pentylene Glycol [hydration], Stearyl Alcohol [emollient/texture-enhancing], PEG-40 Stearate [emulsifier], Phenyl Trimethicone [skin conditioning], Hydroxyethyl Acrylate / Sodium Acryloyldimethyl Taurate Copolymer [texture enhancer], Sodium Dihydroxycetyl Phosphate [surfactant/emulsifier], Citric Acid [pH adjuster], Squalane [emollient], Polysilicone-11, Ceteareth-20 [texture enhancer], Polysorbate 60 [emulsifier], Chlorphenesin [preservative], Cetearyl Alcohol [texture enhancing], Xanthan Gum [texture enhancing], Caprylyl Glycol [emollient/preservative], 1,2-Hexanediol [preservative/skin-conditioning], Sodium Benzoate [preservative], Potassium Sorbate [preservative], Disodium EDTA [stabilizer], Tetrahexyldecyl Ascorbate [vitamin C/antioxidant], Hydrogenated Palm Glycerides [antioxidant/emollient], Methylisothiazolinone [preservative], Tropolone [preservative], and Ubiquinone [antioxidant]. This has a somewhat thick and creamy, yet somehow light, texture (it is COMPLETELY different from my runny La Roche-Posay Anthelios XL). It applies really easily and it actually feels quite nice as you rub it in. ​Right when I started rubbing it in, I saw the bright white tint and I was immediately worried that this would leave a white cast. But as the product absorbs after 30 seconds or so, it left no white cast (which is probably because the zinc is micronized, which means the particle size has been made much smaller). Perhaps my favorite part is its finish–which is a soft satin-matte. My skin looked hydrated but not dewy. It wasn’t tacky but it also wasn’t too flat or powdery. It also works really well under makeup. Since I have been using it, it has never made me greasy and it might actually help to control some oil production. (My mom who has drier skin has used this and it wasn’t too drying on her. Somehow it manages to be creamy and hydrating but not greasy or dewy). Importantly, after continued use it hasn’t caused me to breakout. I also find that I reach for this more so than my La Roche-Posay…I think this might actually be my new favorite! I noticed that the website suggests putting this on under moisturizer instead of on top. I have always put it on top, but I might try it the other way. Murad City Skin® Age Defense Broad Spectrum SPF 50 PA++++ $38.24 per oz. Dr. Dennis Gross Skincare Dark Spot Sun Defense Broad Spectrum SPF 50: $24.71 per oz. If I didn’t love the BeautyRx one, this was going to be the sunscreen that I was going to use next. I have tried samples of this and loved it. Peter Thomas Roth Max Sheer All Day Moisture Defense Lotion SPF 30: $24.71 per oz. La Roche-Posay Anthelios 50 Mineral Ultra Light (this is the american version of the one that I currently own and love. I don’t really like this formula thought): $19.71 per oz. Obagi Sun Shield Matte Broad Spectrum SPF 50: $17.17 per oz. Drunk Elephant Umbra Sheer Physical Daily Defense SPF 30: $11.33 per oz. CeraVe Face Lotion SPF 50: $7.50 per oz. Posted in skincare, Sunscreen and tagged Sunscreen. Bookmark the permalink.